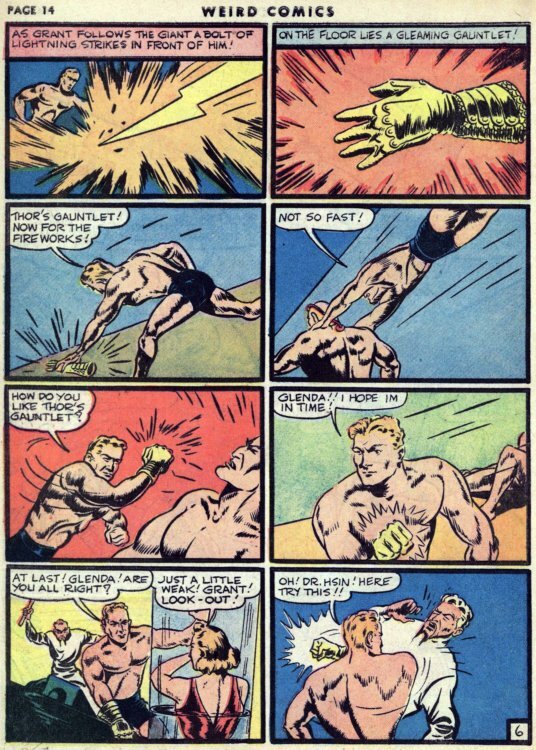 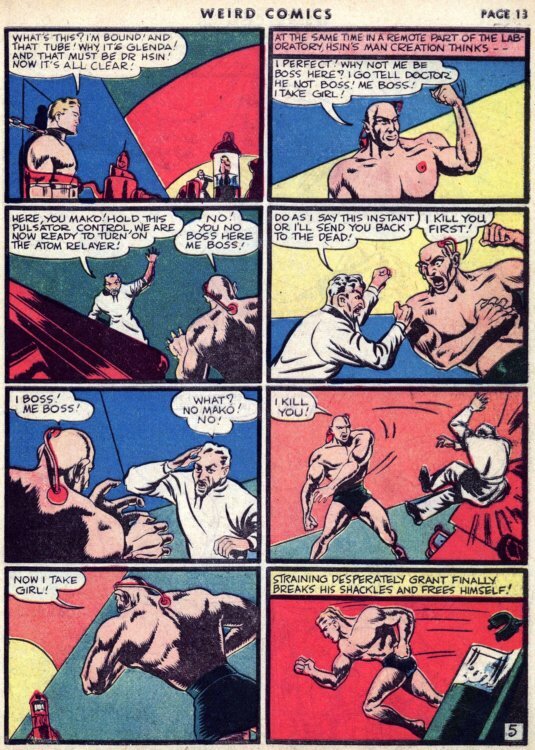 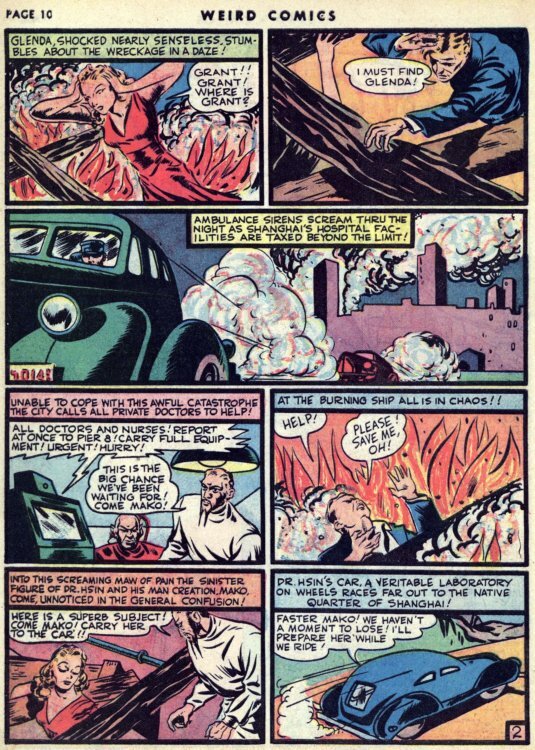 Hero Histories: Reading Room: THOR GOD OF THUNDER "Blood Piracy in Shanghai"
Reading Room: THOR GOD OF THUNDER "Blood Piracy in Shanghai"
The Golden Age Thor returns to battle a typical-for-the-period "Yellow Menace" Asian-stereotype villain in this tale from Weird Comics #5. 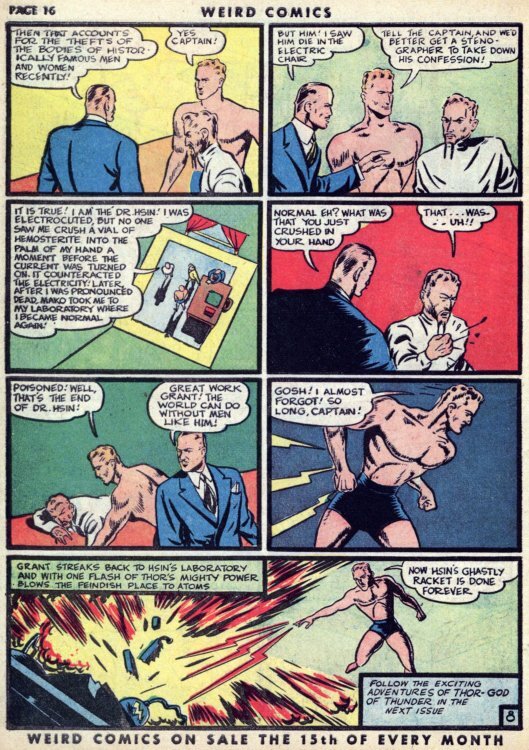 NOTE: this story may be NSFW due to the racial stereotypes. 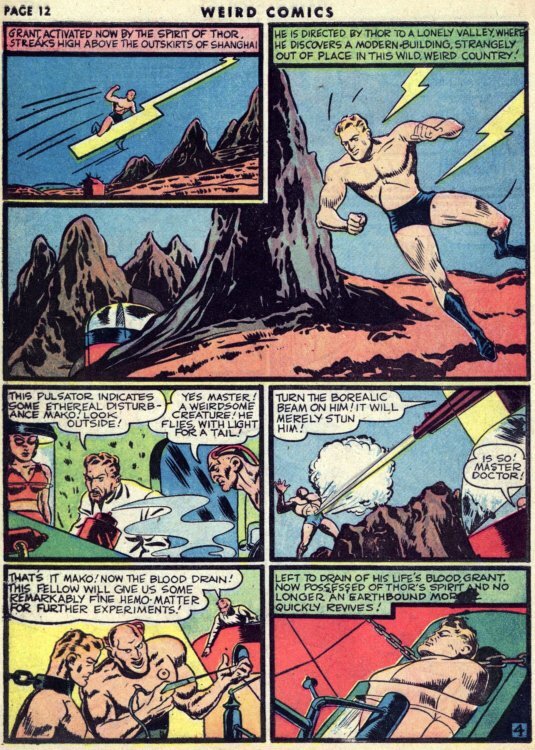 Oddly, the Asian characters do not have yellow skin coloring, but standard comic book Caucasian flesh tones. 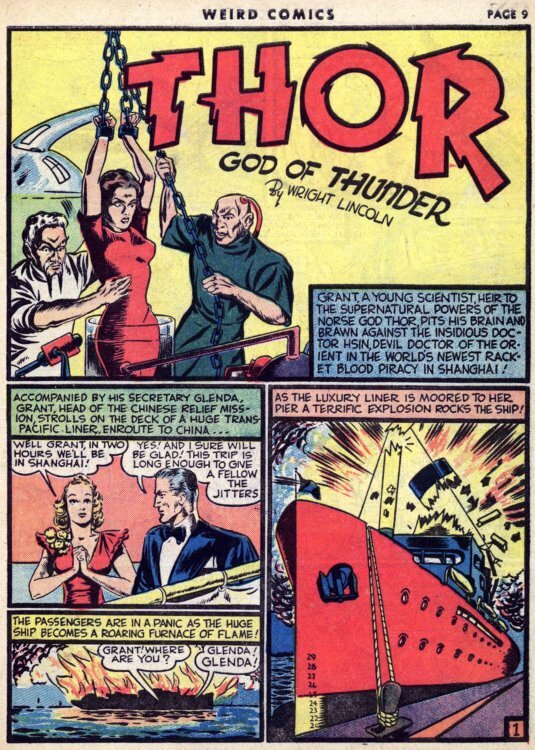 Despite the blurb in the last panel, this was Thor: God of Thunder's final appearance. 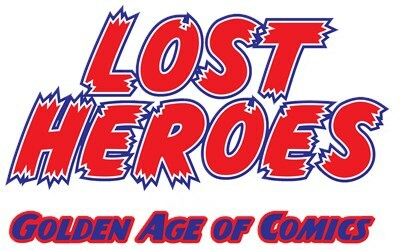 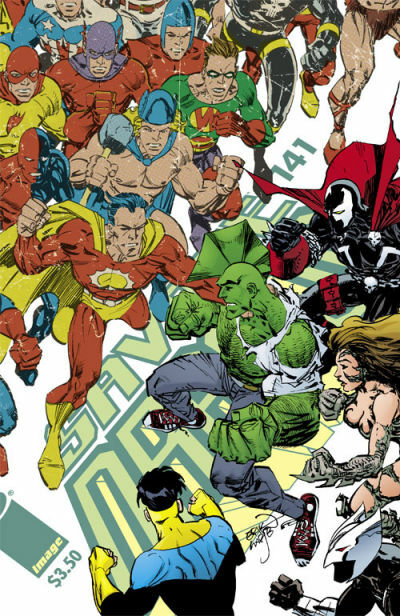 He didn't appear again until Erik Larsen revived him in Savage Dragon #141. 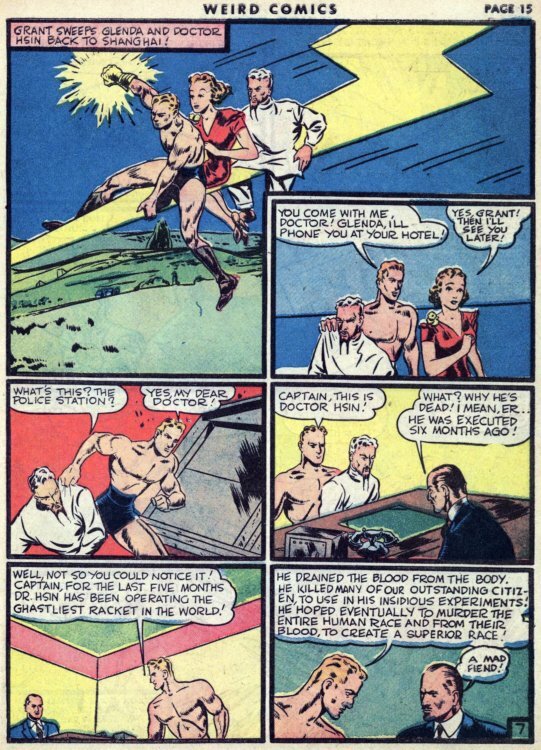 Reading Room: PHANTOM LADY "Satan's Cargo"
Reading Room: PHANTOM LADY "Red Rain"
The Hero with Nine Lives...Cat-Man! 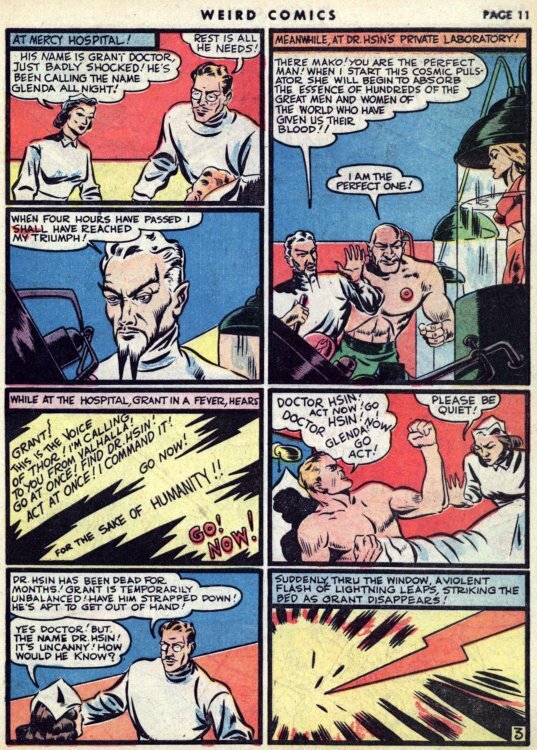 Reading Room: CAVE GIRL "Ape God of Kor"